Well, it has been an interesting month to fish. Very warm temps have had the fish a bit confused and unsure where they want to be or what they want to eat. We are also fighting this damned Red Tide. You would think with all the money we have for research we could find something to kill the damned stuff. It would also be nice if they would not dump all that laden water out of the Caloosahatchee River. Oh well, we must go on. 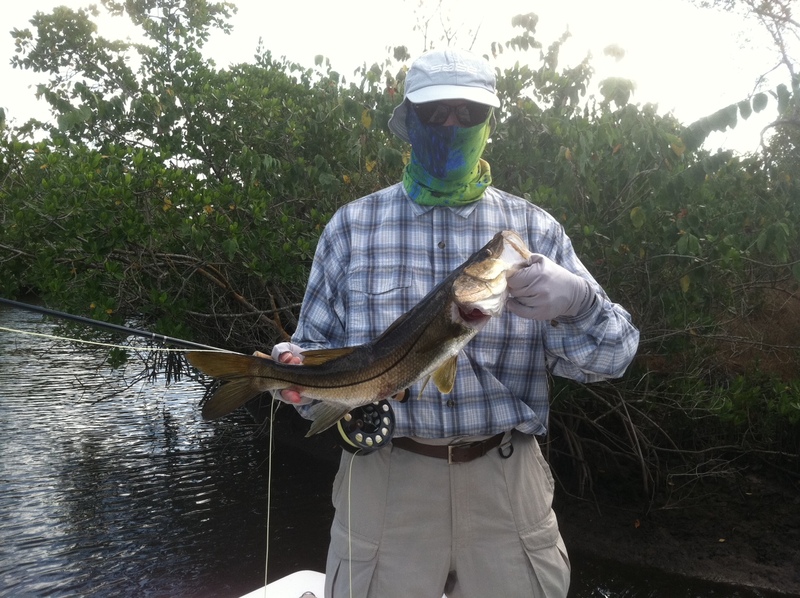 My fly anglers have been doing pretty well in the ultra shallow water for Redfish and Snook and when the conditions are right even a shot at Tarpon. Most of my fish have been coming in less than a foot of water were most cannot go, thank you Tunnel hull. The other fairly good bite has been Sheephead around the outside when you are not chocking to death on the Red tide. Inside bait fishing has been super spotty, one day catching and the next like a barren wasteland. Very perplexing. I would expect to see an increase in good fishing to come through.